Buying your first airplane is exciting and confusing, all at once. There are so many airplanes out there, and so many factors weigh into the decision of what’s best for you. We’ve put together a short checklist to help you find your way through the maze. • Family demands. Are your kids at an age where your after-work time and weekends are eaten up by soccer games and school plays, or are the kids out of the nest, and your time your own? • A family airplane versus a “you” airplane. Is your significant other airplane friendly? Will they fly with you, or will you be flying solo most of the time? The degree to which the airplane will be a family airplane drives many of the decisions, especially the size of the airplane. • Available time. Are the demands of your job such that you have blocks of time when you can disappear for three or four days for cross-countries, or will family and job limit your flying to Sunday-morning hamburger runs? This factor drives the speed decisions, and in many cases, an LSA makes more sense than a turbocharged fast runner. • Trip profile. How long will the cross-country trips be? Under 500 miles, speed becomes relatively unimportant, except for bragging rights. A rule of thumb about speed: On a 500-mile trip, the difference between 160 mph (fixed-gear C-182) and 200 mph (Cirrus) is only 37 minutes. How much is that 37 minutes worth to you in fuel burn, maintenance and overall complexity? • Average load. How often will you be filling all four seats on long trips? If you have to off-load fuel to fill the seats, remember that just one stop for fuel completely negates any kind of speed advantage. And a 10 mph difference between airplanes will barely be measurable on anything but the longest trips. • Runway types. Are you going to be landing on a lot of reasonably short, unimproved (grass or gravel) runways? If so, you don’t want to be flying a rocket ship that’s optimized for high cruise speed at the expense of slow-speed handling and touchdown speeds. • Anticipated topography/geography. If your airport is at 7,000 feet MSL and surrounded by mountains, you’re going to want a bigger motor and the airplane to go with it. Flatland pilots aren’t going to be as critical in those areas. Skill should not be a deciding factor in what airplane you’re going to buy, as it always can be improved through training. With the right training, any pilot can fly any airplane. This assumes, of course, that you really want to put in the work required to develop the appropriate skill set. If not, then that points you in the direction of a specific group of airplanes and away from others. And don’t forget that we now have LSA for those who want to get into the air with a minimum of hassle and expense. Plan ahead, analyze what the expenses are and prepare for them. Look carefully at every financial aspect of owning an airplane before ever buying one, because the actual acquisition of an airplane is only the opening bell. There are so many airplanes out there, and so many factors weigh into what’s best for you. No new airplane is “simple” in the purest sense of the word. But the more complex the airplane, the more it’ll cost to maintain. If it doesn’t have retractable gear, you don’t have to worry about maintaining it and remembering to lower it (and insurance is cheaper). If it doesn’t have a constant-speed prop, it can’t begin to leak or be affected by ADs. If the avionics are basic VFR and not solid-glass IFR, they’re easier and cheaper to keep running. However, don’t think that a simple airplane won’t give great utility. Look at a Cessna 172: simple as dirt, but has delivered more utility to more people than any other airplane in history. Surprisingly, even in this economy, money is available for financing airplanes. Some lenders say they have experienced only a minor tightening of credit. They feel this is because the airplane buyer normally has a higher credit rating and is doing better financially than the average borrower. It’s a lower risk. • Outside tiedown. This is the least desirable as it exposes your new treasure to the elements. But it also costs a fraction of what a hangar does, and is almost always available without a waiting list. • Outside “shades.” Some larger airports offer carport-like structures that provide good protection from the sun and some protection from rain. The cost is generally three times that of an open tiedown, although that varies from airport to airport. • Common-use hangar. Many FBOs will hangar your airplane in their main hangar, and services included with the rent include pulling it out for you and use of their passenger facilities. The cost, however, will often be the same as renting your own hangar. • Private hangar. Finding hangar space can be a real problem in some areas, and the cost is driven very much by location. Larger metropolitan airports routinely charge $400-$600/month, while small airports in small towns have far less luxurious hangars for around $100/month. Some airports allow tenants to own their hangar, while others don’t. Until this year, waiting periods for rental hangars were years long, but the economy appears to have shortened those times considerably. Insurance is in two forms: liability and hull. The hull insurance will be a percentage of the value of the airplane, but it will also vary depending on the complexity, type of airplane and the flight time of the pilot and his or her experience in this specific type (sometimes specific make and model) of airplane. A retractable-gear airplane will always be more expensive. Same for birds with a tailwheel or two engines. Those raise the possibility of pilot-induced error, so they charge more. Many pilots don’t carry hull insurance, but liability insurance is a “must-have” and it’s not terribly expensive. Some maintenance, such as the annual inspection, can’t be avoided. Here you spend money whether you fly it or not. The exact cost will depend on the size and complexity of the airplane, but you won’t get it for less than $1,000, and it may run four times that. Other maintenance is the direct result of using it. The good news is that some normal maintenance can legally be done by the owners, and items like changing oil and tires are included. However, don’t think that not flying the airplane will save you money. If you don’t fly it at all, it will cost you much more in the future because the engine deteriorates whether it’s running or not. Unless properly pickled, long periods of inactivity shorten the engine’s life considerably. Because of the cost of airplane ownership and the small number of hours they’re generally used per year, we’re now seeing the rise of organizations that specialize in setting up shared ownership. • Partnerships. If the number of partners exceeds a given number, five being the most common, insurance companies begin to treat them as a club, and the rates increase. Regardless, pick your partners based on financial responsibility, attitude (don’t partner with show-offs) and personality. • Limited-liability corporations. Many partnerships, and individuals for that matter, put their airplanes in LLCs to isolate the liability. • Fractional ownership. A fractional ownership is different than a partnership. Think of it as a timeshare where you own part of an airplane, but you work through a managing agency that takes care of the maintenance, insurance and all the other stuff that no one wants to think about. These started out with jets and turbines but are becoming very popular for single-engine birds because it’s so simple: You pay a buy-in fee, a maintenance fee and an hourly rate. That’s it! Thinking ahead to the day you’ll sell the airplane isn’t negative thinking. It’s another form of smart asset management. Some airplanes hold their value and have done so for generations. For instance, there’s always a hot market for clean Skylanes and Bonanzas. Other airplane types don’t fair as well, and this often is reflected in their purchase price. So, don’t buy an “off brand” just because it’s cheap, unless you’re willing to take a bigger hit when you resell. Also, when buying, realize that well-equipped aircraft sell faster than those with barebones panels. When you’re talking new versus used aircraft, some of the same sales channels apply because new aircraft dealers advertise in the same outlets, especially Trade-A-Plane, Controller and a myriad of other sales outlets. Most of these can be found by Googling “new aircraft sales” or the name of the specific dealer (“Cessna”). And don’t overlook your local airport. If they don’t have a dealer, they’ll know where to find one for you. In the end, airplane-buying decisions almost always have a modicum of emotion involved. However, by doing your research and building your spreadsheets, at least your emotions will be well informed. We contacted leading insurance and finance companies and asked them to share a few words concerning their company and what they look for in a client. The best piece of advice is to select a single aviation-insurance broker that you trust and partner with them to purchase the proper insurance for your needs. All underwriters will be looking for the same basics to assess the risk: pilot qualifications, aircraft information, location and area of operations, aircraft usage detail and loss history. All profits of our agency go to supporting the future of GA—a big added bonus for our customers. Avemco Insurance Company is a direct writer for owners and operators of GA aircraft, giving pilots access to the company without going through an agent. The basic thing we look for is if the experience of the pilot matches with the performance and complexity of the aircraft. If the pilot doesn’t match with the aircraft, does the person have the base knowledge/skill so that they can transition into the aircraft with training? Chartis insures light aircraft and pilots and is one of the largest insurers of homebuilt aircraft. Speak with an aviation specialist broker before you go plane shopping and compare offers from different aviation insurance companies and their policies carefully. Then when you get your insurance policy, read it and contact your broker with any questions. Insurance isn’t all about price, it’s about coverage and protection. Some aircraft-pilot combinations don’t mix, and we’re honest and upfront with potential issues like that. But with our large network of offices and underwriter relationships, we can generally answer needs others may not be able to. We’re one of the oldest aviation specialty houses in the country, and the insurance companies have entrusted us with their computer rates so they can scan all 14 for the best price in minutes. We look for a pilot who takes annual recurrent training if we’re quoting for more sophisticated aircraft or commercial exposures. If they don’t know where to go for training, we tell them! We ourselves fly so we can communicate effectively. Fifteen percent down is required. Loan program terms and availability will vary depending on aircraft type, age, purchase price and utilization along with the buyer’s financial situation. Customer must provide two years of tax returns, a personal financial statement and verification of liquid assets. We’ll analyze the debt-to-income ratio (monthly income based on tax-return figures versus monthly obligations), liquidity and net worth. AOPA Aircraft Financing Program is a trusted lender with experienced associates and competitive rates and terms. With more than 14 years of aircraft lending experience, AOPA Aircraft Financing makes your aircraft purchase fast and secure. Get preapproved before you shop. CFC is a single source for aircraft sales and financing. With nearly 75 years of aircraft sales, Cessna and its allied financing organization bring an unmatched level of experience to helping first-time aircraft purchasers. We have over 45 years of experience and we look for an individual with good net worth, solid liquidity, good credit history and a steady income pattern. Today, credit is tighter with lenders looking for a credit score that’s 700 or higher and requiring 15% or higher down. Cash is king! Festa’s advice to other outright buyers is to narrow down their options. 1976 Great Lakes 2T-1A2 biplaneIn my case, the overriding theme of my aircraft search was “low cost” and “fun.” The third criterion was that the airplane had to have a tailwheel and, preferably, two wings. Months after placing an ad of my own, I found a partnership at my local airport that had several members, few of whom flew the airplane very often. Lack of interest, time and practice had meant the airplane sat in the hangar often. Insurers don’t like new biplane pilots, so I had to pay a bit of an insurance premium and fulfill their requirements of a lengthy checkout. Costs are low due to the airplane’s age, value and size (two seats). We assist heavily in all maintenance, turning the annuals into a party with all hands turning wrenches, removing inspection plates and getting dirty. It’s a great way to get to know the airplane and feel confident about how it’s maintained. A local A/I supervises and inspects our work. To further reduce costs, I put in extra time cleaning the hangar, making sure maintenance records are clean, and washing and waxing the aircraft. Challenges in any partnership are mostly due to scheduling. 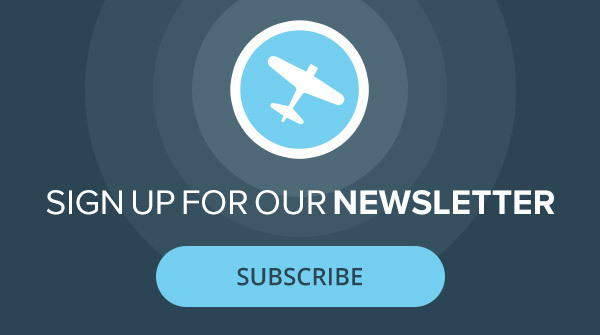 We have since created a web-based scheduling system using free components, as well as a website for the airplane to keep members notified of issues or announcements. New partners keep the airplane flying more, thus reducing maintenance costs, and we share 100% in all duties and responsibilities. The net result is that I fly a cool airplane for about 60% of the costs of renting. Cirrus SR22 through AirShares EliteKeith Ruskin is a very busy anesthesiologist in Connecticut who became a fractional airplane owner through AirShares Elite in 2004. Ruskin flies about 80 hours per year, for both business and family travel, and rates convenience and availability as prime factors in his decision to go with fractional ownership. “I have an airplane whenever I want it,” says Ruskin, “and with airplanes in just about every part of the country, I can fly wherever I am.” AirShares Elite is constantly refreshing their Cirrus fleet so owners always have access to new airplanes. “I could never afford to buy the SR22 that I fly,” laughs Ruskin. Fractional owners like Ruskin appreciate the training requirements of fractional companies. “Airshares Elite requires an annual proficiency check, and I love it,” says Ruskin. “It keeps me in training mode all the time.” Recently Ruskin flew to California commercially, then met his Cirrus at LAX and flew it to San Diego. After several days there, he flew it back to LAX and handed the keys to an AirShares pilot. “It’s just a fantastic setup,” he says. Buyers of used aircraft should be aware of how the airplane was used or not used during its last year or two of ownership. Typically, aircraft are used less and less, and the maintenance follows the same trend. So think about the following guidelines. • Most airplanes are owned in a three- to five-year cycle. The first year is full of activity, and the airplane is well maintained. • In the third to fifth year of ownership, it becomes harder to justify the expense, and the airplane suffers even more from lack of use. The result is that maintenance is often (but not always) postponed. The buyer needs to study the maintenance history of the aircraft, and know when to walk away or when to build in a healthy budget to cover a spike in maintenance. Piper Aircraft matches new purchasers with possible co-owners in their area. PiperMatch specialists look for a fit between Piper enthusiasts who share location and financial wherewithal and have compatible profiles. Class G offers an invaluable tool to the new airplane buyer: the ability to quickly and easily compare the specifications of airplanes in a side-by-side fashion. Classg.com features buying tools that include make/model searches, side-by-side comparisons, aircraft reviews and much more. Boy do I have a headache now.